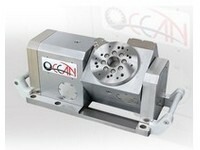 Ocean Technologies Co., Ltd. was found in 2000. 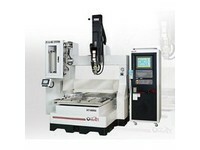 Our company is a manufacturer of drilling EDM and rotary table. 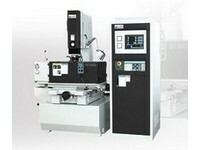 We got patent for portable drilling EDM, auto electrode change, and auto guide change system. Also, we obtained CE certificated. In 2005, we sold over 200 sets machines worldwide. After years' efforts, we have become one of the leading manufacturers in this field. To meet the severe competition and to serve the customers more, we are strict to our quality of product standard in order to make customer have good right. Besides, we also provide excellent service to our customer. We guarantee we must make you satisfy with our product and service. Therefore, if you have any question about our product, you can tell us. We will give you early reply. Furthermore, we look forward to searching a good business partner. If you are interested, please feel free to contact with us or you can email to us. Manufacturer of EDM machines & parts, including (1) drilling EDM- wire EDM, CNC EDM, ZNC/ NC/ PNC drilling EDM, portable drilling electric discharge machine. (2) EDM parts & accessories- ceramic guide, electrode tube and spare parts.